The grand show is eternal. Eternal sunrise, eternal sunset, eternal dawn and gloaming, on seas and continents and islands, each in its turn, as the round earth rolls. Mt. Adams is a stratovolcano that’s part of the Pacific Ring of Fire. It’s located about 40 miles east of Mt. Saint Helens, which erupted on May 18, 1980. 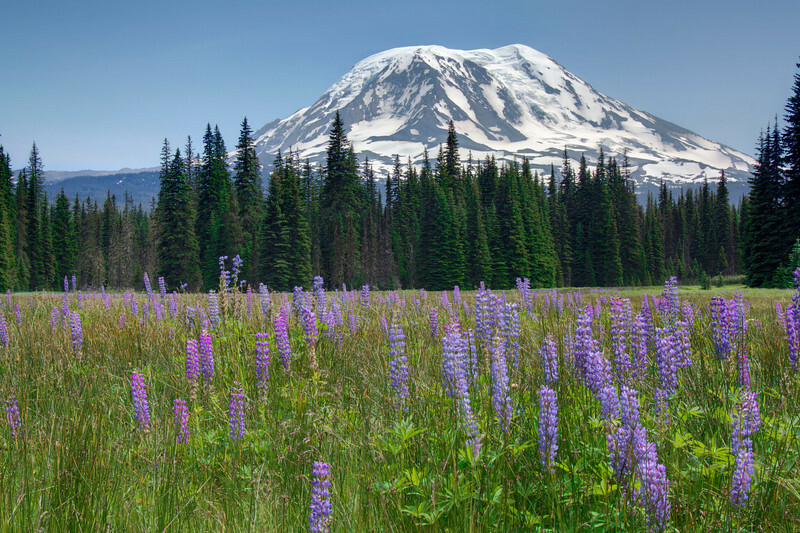 This view has purple lupine in the meadow, the deep channel in the middle of the mountain is Adams Glacier.